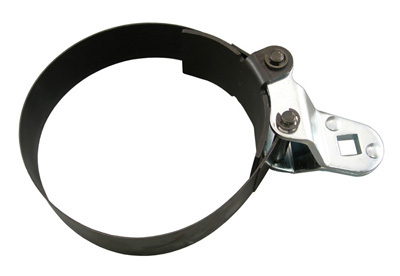 This filter wrench adjusts quickly to any spin-on filter up to 6-in. in diameter. Strong nylon web belt will not slip. Use with 1/2-in. square drive wrench. Wide 1-1/2-in. steel band designed to withstand the high torque requirements of truck, bus, RV, and heavy duty equipment filters. Use with 1/2-in. square drive tool. 17-in. 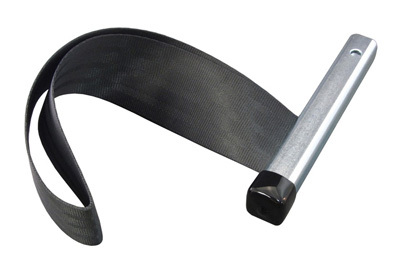 overall length with jaw range of 4-1/4-in. to 7-in.